Following the thread of curiosity about mind and body, he took his first yoga class in 1980. He went to yoga in search of flexibility and found a practice that would turn into his life-long passion and career. In 1981, Rodney began to study yoga full time at the San Francisco Iyengar Yoga Institute and at The Yoga Room in Berkeley. In 1987, after becoming a certified Iyengar Yoga Teacher, he opened the Piedmont Yoga Studio in Oakland, CA, with Richard Rosen and Claire Finn. Rodney still teaches at Piedmont Yoga Studio often, but he is now based in New York, and teaches regular classes at his wife Colleen’s studio, Yoga Shanti, in Sag Harbor, NY and their new location in the Flatiron District of New York City. 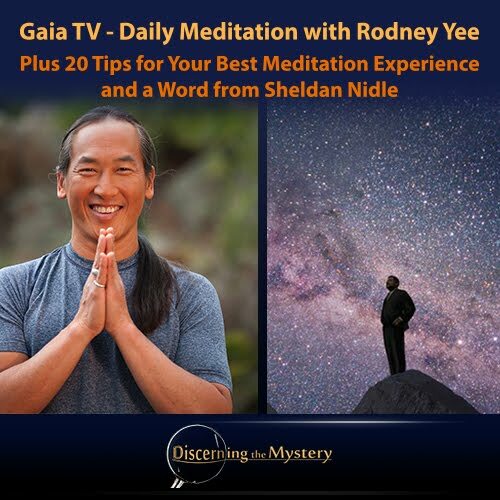 Rodney has appeared on Oprah, Good Morning America, and in the PBS special "The Practical Power of Yoga,” as well as many other television broadcasts. He contributes to a variety of yoga and healthy lifestyle publications regularly, including Yoga Journal, Self, Shape, and Fitness, and has been featured in Vogue, Vanity Fair, Glamour, Marie Claire, Elle, O-The Oprah Magazine, New York Magazine, The New York Times, The Wall Street Journal, and USA Today. Together with Gaiam, Rodney and Colleen developed the Gaiam Yoga Studio, an online yoga studio with videos, audio classes and pose guides. It was designed to make a yoga home practice accessible to a wide audience. Rodney and Colleen are the Yoga Directors of the Health and Wellness Initiative of the Urban Zen Foundation, Donna Karan’s project to change the healthcare paradigm to include complementary healthcare practices. As part of this project, they are the core yoga faculty of the Urban Zen Integrative Therapy Program, a 500-hour program that is currently training close to 100 integrative therapists in five modalities – yoga therapy, aromatherapy, reiki, contemplative end-of-life care, and nutrition. In association with Rodney, Colleen, and Gaiam, the Urban Zen Health and Wellness Initiative has produced DVDs and CDs for hospitals that lead patients through in-bed movements, restorative postures, breath awareness techniques, and body-scan meditations. Rodney and Colleen are married and live together in Long Island, NY, where they are raising and being raised by four awesome children, Evan, Adesha, Rachel, and Johanna." (You must have an account with GaiaTV in order to enjoy this video. The experiences that come with each sitting of meditation can be numerous. From martial arts and general study of ancient practices. I have had multiple instances and experiences in this art of inner work. However, it wasn't until later that I started to discover that there is much more to the practice than simple breathing, visualization, and concentration. Whether we have been meditating for days or decades, it is always helpful to receive extra tips and reminders to help enhance our experience. For a few of such tips on better meditation, we turn to Leo Babauta and Zenhabits.com.